1948: Calverton woman and her home. 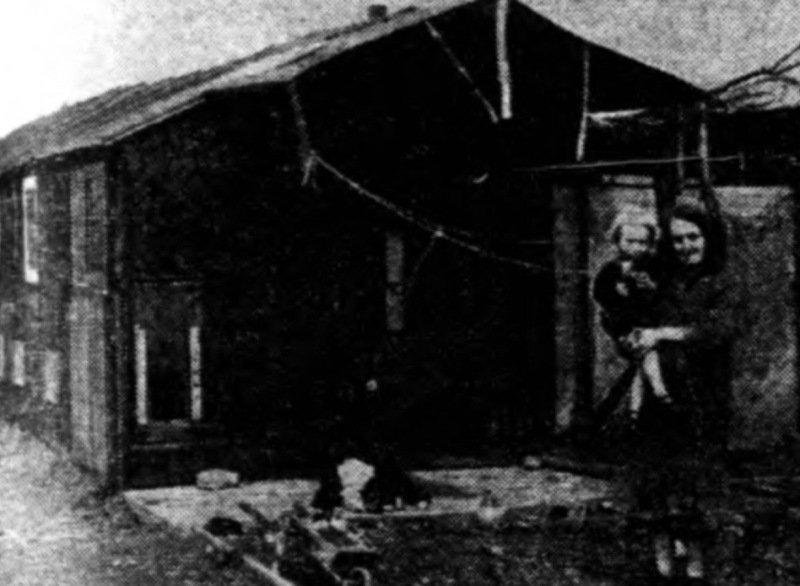 In this shack, described as if it might have been "part of a hen house," and situated in Broom Close, Calverton, Mrs Hilda Jackson (shown in the picture with her two year-old son, William) lives with another son and her mother. On April 20, the Basford R.D.C adjourned an application for a demolition order until the the next meeting as the owner may then be able to move into a house in Nottingham. Mrs Jackson told everybody that she liked living in the hut as, "In the winter the countryside is like being in Switzerland."